After spending the four most amazing days in Venice, I'm back home and I've got loads of university work to do. 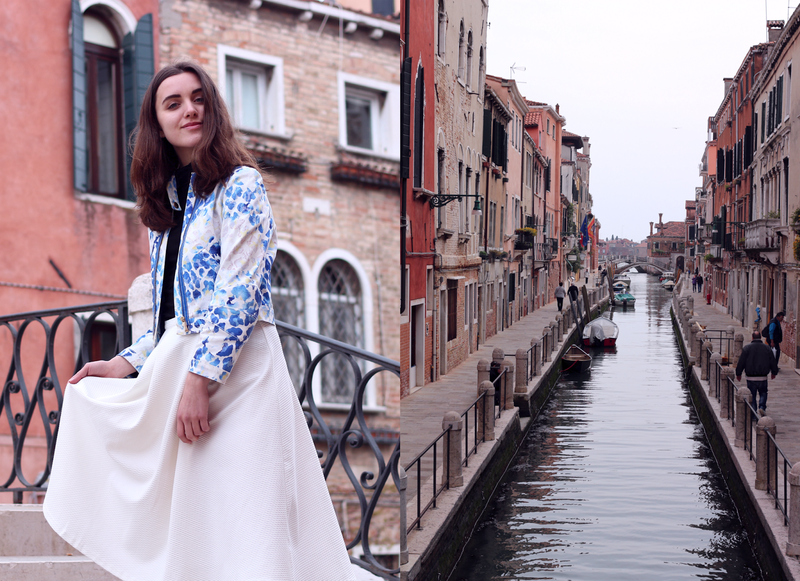 But, I wanted to share my outfit from Venice right away because it's honestly one of my favorite outfits to wear. 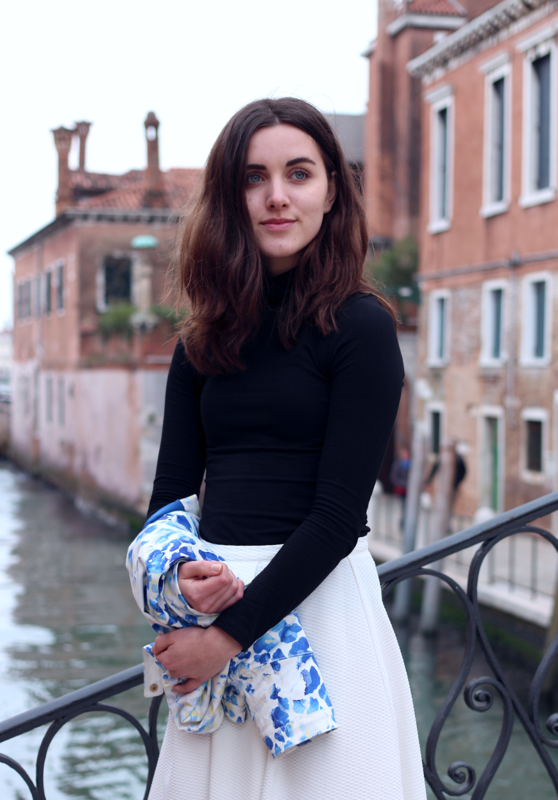 The weather in Venice wasn't that amazing, so there was no way I would be wearing pretty dresses. However, if the sun isn't shining that bright but I want to wear something elegant, I always put this outfit on. 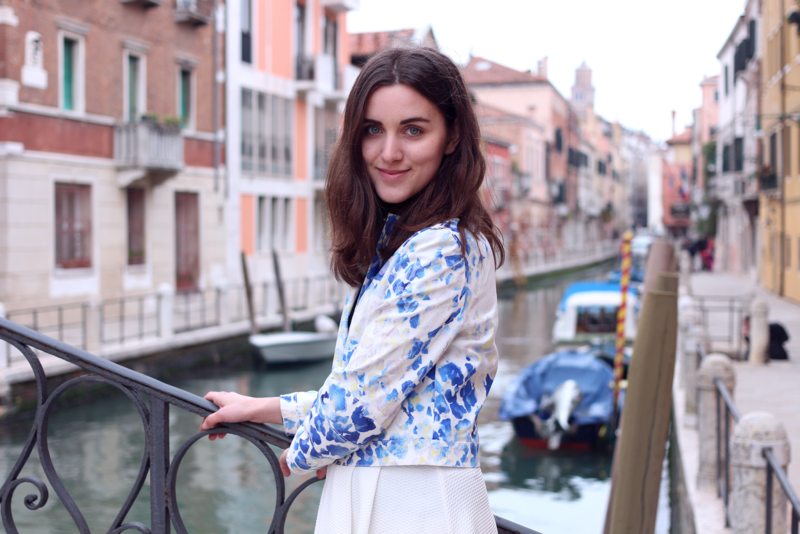 A midi skirt, a basic shirt and a pretty jacket. It's so simple, but perfect for the weather we had in Venice. I will be writing a couple of posts about things you have to visit when you're in Venice and places you have go for a delicious dinner. I wrote it all down for you and I will be sharing my tips & tricks next week. Have a lovely day!